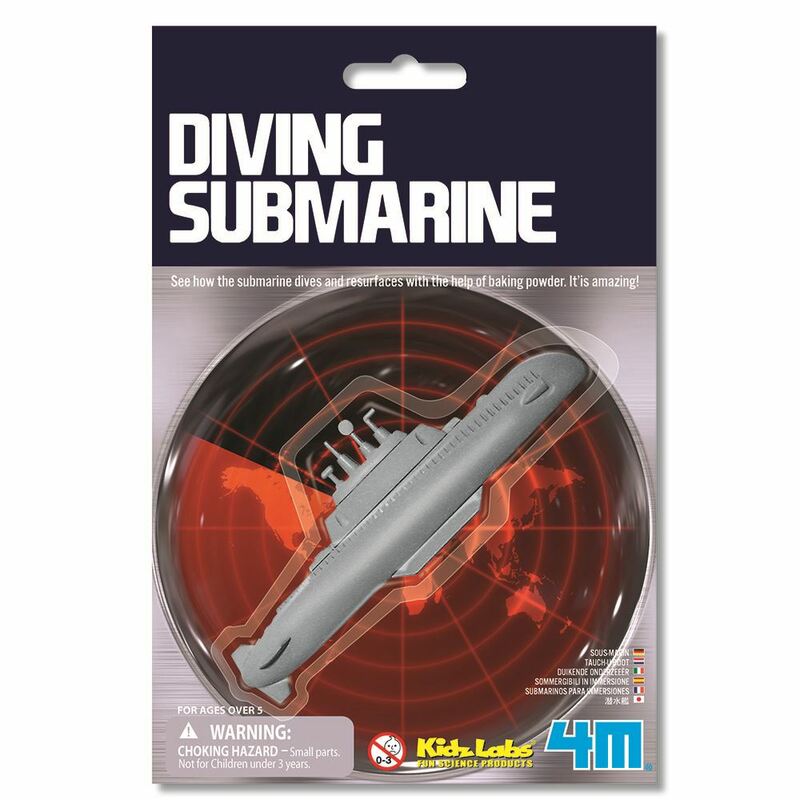 See how the 4M submarine dives and resurfaces with the help of baking powder. A classic toy loved by adults and kids for decades, learn the fun science facts behind it. Inspires young scientists and provides unlimited fun. Approximate Submarine size: 113 long. Age 6+ years. Part of the KidzLabs range. Distributed in New Zealand by Holdson.